Mary Camino is a newcomer professional and volunteer at CIES. She is currently completing her ESL EAP training at Columbia College and is pursuing her communications career in Canada. Moving to another country involves so many changes, whether it’s the culture, climate, politics or language. One change that can cause a big cultural shock (at least it did for me) is healthcare. Canadian healthcare has so many benefits. I believe that one thing Canadians can take the greatest pride in is their healthcare system – unlike some other countries, no citizen or resident of Canada is denied access to healthcare based on whether or not he or she can afford to pay. The system is hugely favourable for those who don’t earn enough income to pay for expensive treatments or routine visits to the physician. As a Latin American, I value all the advantages of Canadian healthcare, especially that it is open to everyone, but it was shocking to experience the big differences that I found regarding the relationship of doctors with their patients. One of the biggest differences I’ve noticed is the amount of time that the doctor spends with a patient in each visit. In Canada it seems to be around 15 minutes and back home [in Ecuador] it was closer to 1 hour. Additionally, in Canada there are other ways to seek medical help than simply seeing your doctor; you can call 811, a telephone service which provides free 24/7 nurse advice and general health information for Albertans. Or you can go to any hospital or Urgent Care to receive attention. This is very different from what I experienced in Ecuador – I used to call or text my doctor personally and practically have a medical consultation through the phone. 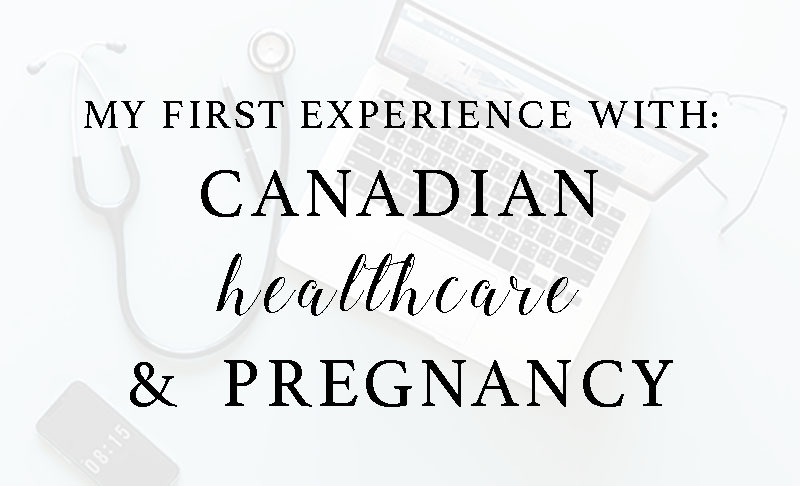 When I became pregnant I really started to see the big differences between the healthcare system here and back home, especially when I needed to schedule routine checkups. I didn’t go straight forward to an OB or Gynecologist as many people do in Latin America. Here, first I had to visit a family doctor that checked on me throughout the first three months, and then he transferred me to an OB unit at a hospital, where I will attend my appointments until the baby is born. However, the doctor that attends my childbirth will likely not be my personal doctor, but a doctor who happens to be working in the hospital on the shift when I give birth… I actually haven’t felt like I’ve had “my doctor”!, someone who I can build a relationship with and who I can trust in. In Ecuador, women who become pregnant choose a doctor from the beginning and they work with them for the next nine months. They are given their personal phone number and full access to them for any concerns or pain at any time. That same doctor will also be there during childbirth. Here in Canada, and without a personal doctor, I believe I might just have to call the 811 help line if I need it. Knowing all of this information – and it’s not bad, just not what I was used to – I decided to apply for a Midwife. In Alberta, midwives are primary health care professionals, taking care of many of the same tasks as your doctor. As such, they can provide you with requisitions for all standard maternity screenings and tests, as well as ultrasounds, and can consult with, and refer you to, other health care providers as needed. I feel a little more comfortable with a midwife because I have an open communication channel with them in case of emergency or discomfort at any time. They provide that close relationship that I was missing from my doctor in Ecuador. You can learn more about what midwives do, including how to find one, at the Alberta Association of Midwives website. Another big difference I found here was the importance people place on being educated about their pregnancy. There are so many resources that people can access to learn about pregnancy and childbirth, including courses, classes, and support groups. It has been super interesting and challenging at the same time, because it’s something I’m not used to. Your midwife or doctor can provide guidance throughout your pregnancy, but at the same time you have to make your own choices, and midwives in particular are very supportive of your plan. In my case as a newcomer and English learner, was very determined to try to learn all the necessary medical terms in English so I could understand all the new information that my doctor and midwife provide me with, and properly explain all my symptoms. This meant that I had to make an extra effort to educate myself and be ready for every routine checkup. Even with this huge language and culture challenge, reading and being exposed to these new experiences has helped me to learn new words, expressions, and habits about the culture in Canada; the country my family and I now call home.